This butter is also known as African karite butter. It is expressed from the pits of the fruit of the African butter tree which grows in Central Africa. An excellent super-fatting material for soapmaking. Use 2-5% of your total fats and oils. 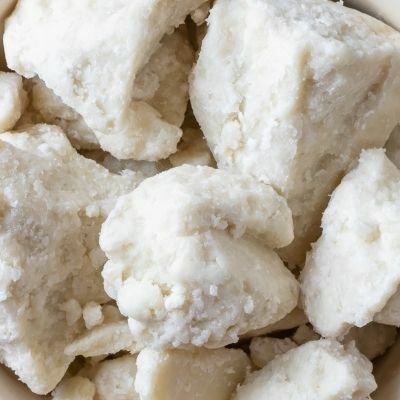 Shea butter is a great addition to lotions and creams. please note the 55 LB size may require a 2 week lead time. ***Saponification value = 180 mg KOH / g of fat.